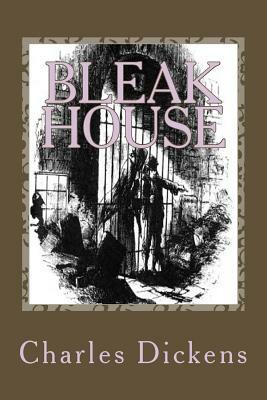 Bleak House is the ninth novel by Charles Dickens, published in twenty monthly installments between March 1852 and September 1853. It is held to be one of Dickens's finest novels, containing one of the most vast, complex and engaging arrays of minor characters and sub-plots in his entire canon. The story is told partly by the novel's heroine, Esther Summerson, and partly by an omniscient narrator. Memorable characters include the menacing lawyer Tulkinghorn, the friendly but depressive John Jarndyce and the childish Harold Skimpole, as well as the likeable but imprudent Richard Carstone. Charles John Huffam Dickens 7 February 1812-9 June 1870) was the most popular English novelist of the Victorian era, and one of the most popular of all time, responsible for some of English literature's most iconic characters. Many of his novels, with their recurrent theme of social reform, first appeared in magazines in serialised form, a popular format at the time. Unlike other authors who completed entire novels before serialisation, Dickens often created the episodes as they were being serialized. The practice lent his stories a particular rhythm, punctuated by cliffhangers to keep the public looking forward to the next instalment. The continuing popularity of his novels and short stories is such that they have never gone out of print. His work has been praised for its mastery of prose and unique personalities by writers such as George Gissing and G. K. Chesterton, though the same characteristics prompted others, such as Henry James and Virginia Woolf, to criticise him for sentimentality and implausibility.